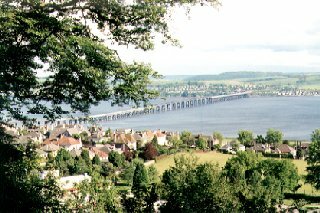 Dundee, which lies on the north shore of the Firth of Tay, is the smallest of the unitary authorities but the fourth largest city in Scotland. A royal burgh since the 12th century, the city developed as a port and manufacturing centre and now has two universities. Reminders of Dundee's long association with the sea are the Frigate Unicorn, the oldest British warship still afloat and the RRS Discovery, which took Captain Scott to Antarctica in 1900-04.